OUEN PRESS SHORT STORY COMPETITION 2017 – FINAL RESULTS JUST OUT! 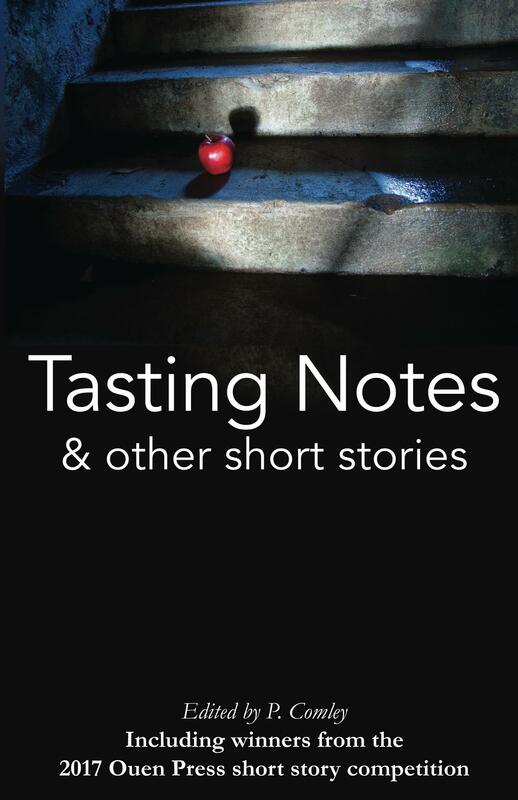 Tasting Notes & other short stories – a diverse menu of short fiction expertly crafted to tantalise and entertain. The very best 2017 competition entries have been published in one anthology entitled ‘Tasting Notes & other short stories’ – a diverse and complex menu of short fiction, expertly crafted to tantalise and entertain. Contributors were encouraged to explore imaginative interpretations of one or more of the various meanings that could be derived from the term ‘Taste’. Congratulations to the prizewinners and many thanks to all who entered the competition – visit www.ouenpress.com to view the FINAL RESULTS. Sussex based editor and writer, Philippa R Francis writing as K.M. Lockwood was placed as overall winner her work ‘Tasting Notes’. Other prizewinners include Texan-based writer Randall G. Arnold for ‘Taste of the Broken Sea, and UEA Creative Writing graduate and editor Krishan Coupland for ‘The Life of Dogbreath’. Delighted again with the global reach of the competition, we have been enthralled by those who have opted for the less obvious approaches to the brief, as we hoped they would do what excellent writers can do – expand the subject beyond what might first come to mind. Deadline dates and details of the theme for the next competition will be made available on our website later in the year – or you may wish to check in with us on Twitter @OuenP or Facebook @ouenpress, for more regular updates on future competitions and all our other activities. Wishing you every success with your future writing projects.